In his new role, Daniel Holbein will have overall responsibility for the MAN TGE product range, vehicle sales, volume planning and all van operations within the UK, reporting directly to MAN Truck & Bus UK Managing Director, Thomas Hemmerich. Commenting on the appointment, Thomas said: “I am absolutely thrilled that Daniel will take on responsibility for the MAN TGE Van range here in the UK and in doing so join the Board of Directors. 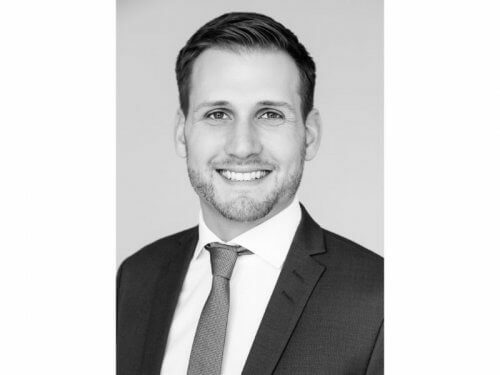 Daniel started his career with MAN Truck & Bus AG in 2011 and until 2015 he held key management positions in sales and pricing strategy in Germany with global responsibilities. In 2016 he became Head of Price & Margin for the truck segment within Truck Sales based in Munich, a position he holds today. A graduate of Reutlingen University European School of Business (ESB) in Reutlingen, Germany, Daniel holds a Master of Arts (M.A) and Bachelor of Arts (B.A). Daniel is married and the father of one daughter. The first MAN TGE minibus conversion has now been completed by Minibus Options.